Dress up your denims with our cotton tank top in Black, White, Navy Blue, Heather Grey or Red—whichever suits your style. 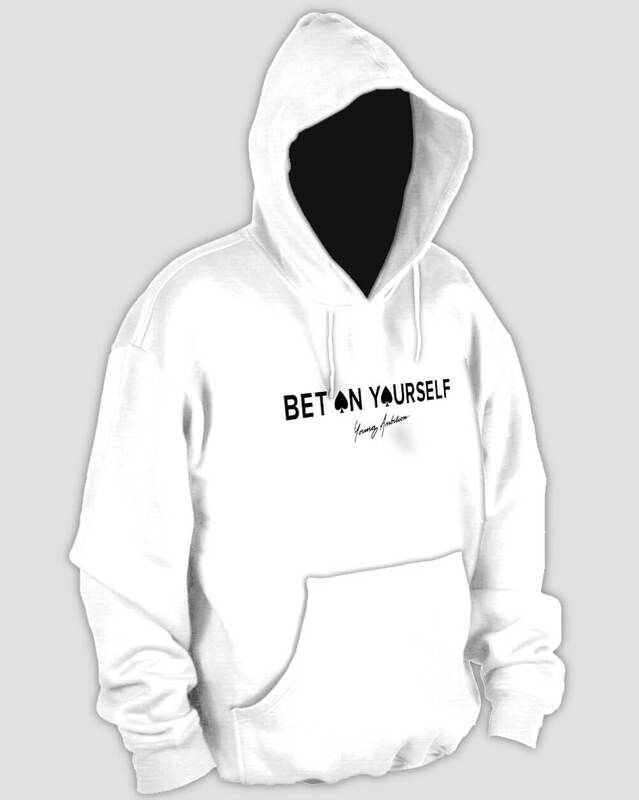 It comes printed in casual geometric letterforms to remind you to “Know Yourself,” signed “Young Ambition” in cursive. 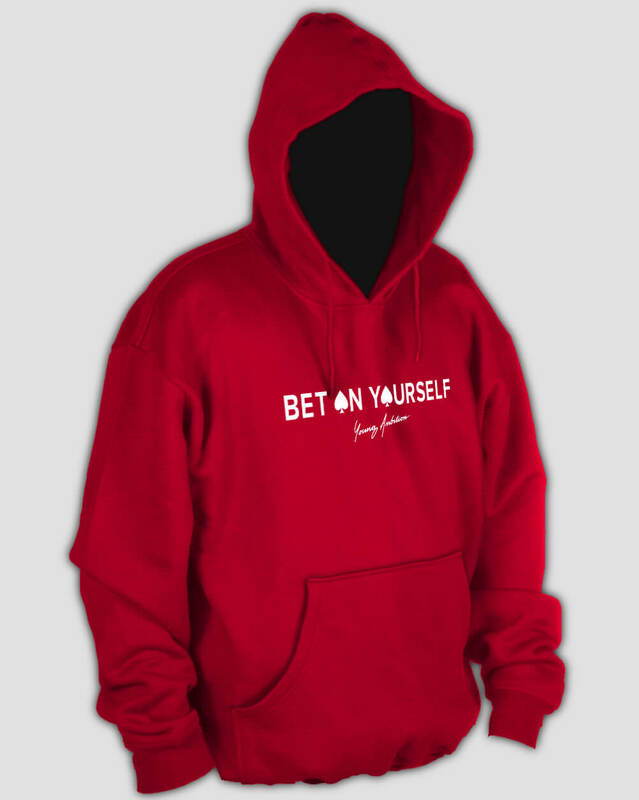 Available in Red, Black, White, Heather Grey and Navy Blue. Get snug and comfortable with our brushed cotton hoodie equipped with a single-tunnel front pocket and available in three colors: Light Grey, Red, White, and Black. Lazy people think its all luck. But you know. 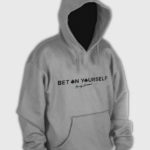 Get snug and comfortable with our brushed cotton hoodie equipped with a single-tunnel front pocket and available in three colors: Light Grey, Red, White, and Black. 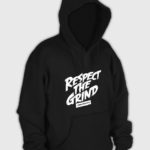 For the real grinders out there working toward their passion everyday. Maturity comes with experience, not age. Young Ambition is for all ages, but stands for those young at heart. Anybody can play the game, but only those with inner ambition can change it. Entrepreneurs are the future of our society and have the ability to shift our culture at the highest level. This sweatshirt is for those with inner ambition. 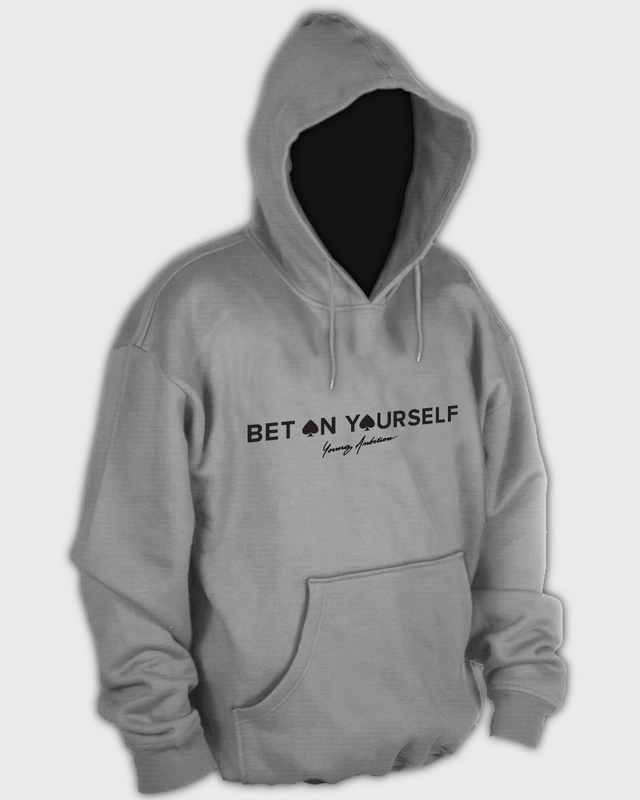 Available in Black, White and Light Gray.